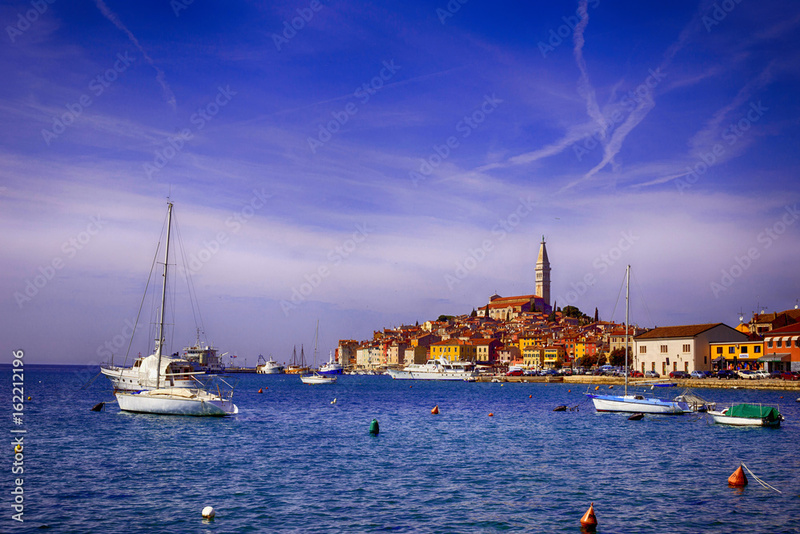 > Aluminium Prints>Rovinj, city on Adriatic sea coast in Istria, Croatia. Really pleased with the product and quality. Absolutely great result, and lots of kind assistance on the phone and by email for my large aluminium wall print from my own painting. Great value. Thanks all. This results in a bright image, the details of which can be clearly seen from any angle. The texture of the photo can actually be felt when rubbed. The choice of aluminium depends on the photo. This gives the white parts of the picture a unique reflective effect. This picture seems to actually come to life. This finish is ideal for black and white photos, because it really enhances the white parts of the photo. A picture on mirror aluminium has a nice mirror appearance. Because we standard do not print white ink all the white parts stay clear so in this case mirror. A modern way of a photo presentation. Be aware: white colours are not printed so the aluminium becomes visable in these parts. Free hanging system with each photo on aluminium! You will receive a free hanging system with your photo on aluminium. This hanging system consists of a mounting plate for the back of your aluminium panel. You can use this plate to hang your aluminium panel on the wall, quickly and easily, without the hanging system being visible. The hanging kit includes two spacers, so your photo is always level and slightly offset from the wall. Depending on the size of your painting, there may be multiple free installation systems installed by us. You will receive the painting ready to hang. If you want to paste the painting against the wall you should not choose the free installation system because afterwards the installation system is stuck, it is not removable. The advantage of our system is that your photo on aluminium can be hung really quickly and easily.